Go about your day with ease because you know you're wrapped in comfortable protection. The Timberland PRO Men's TB0A111WD67 Wicking Good Men's Orange Short-Sleeve T-Shirt is a must-have for any occasion, whether it's a long work day, family picnic, or just for runn ... (see full details) (see specifications) #TB0A111WD67. Go about your day with ease because you know you're wrapped in comfortable protection. The Timberland PRO Men's TB0A111WD67 Wicking Good Men's Orange Short-Sleeve T-Shirt is a must-have for any occasion, whether it's a long work day, family picnic, or just for running everyday errands. Constructed with 100% polyester knit and 100% polyester mesh side panels, this Timberland PRO tee is fast-drying and breathable. Built with moisture-wicking fabric as well, this men's workwear draws perspiration away from your skin, helping to keep you comfortable while you're working. This orange shirt also offers you with sun protection by featuring an Ultraviolet Protection Factor (UPF) of 50. This limits the transmission of ultraviolet rays and protects your skin to help you stay healthier. In addition, this short-sleeve shirt is also odor-resistant by stopping the growth of odor-causing bacteria, which helps your men's clothes to smell and look cleaner for longer. This men’s shirt is carefully designed to fit you exceptionally well, so you'll stay comfortable all day. That's why the chest is 43 inches in width and the back length from high point of shoulder is 29 inches. Crafted with flatlock seams for chafe-free comfort and a tagless neck label to avoid neck irritation, the design ensures this orange tee provides you with the utmost comfort. For longevity, simply wash this with similar colors in cold water and tumble dry on low. Enjoy the comfort and durability of the Timberland PRO Men's TB0A111WD67 Wicking Good Orange Short-Sleeve T-Shirt. Order yours online today from Working Person’s Store. Comfort, SPF protection, and a fun color - all in one great Timberland PRO tee! I was pleasantly surprised by the comfort and feel of this shirt when I received it. 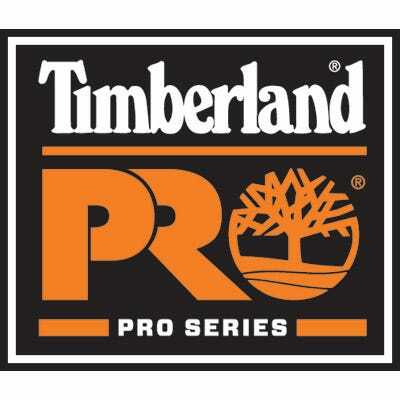 Timberland Pro is doing an excellent job with their new line of shirts and work wear. This shirt was a true XL and did not shrink. The material is as good or better than its competition. I would definitely buy another one of these shirts. Timberland PRO Shirts: Men's TB0A111WD67 Orange Short-Sleeve Wicking Good T-Shirt is being added to your cart.